At the end of every project, we spend several hours sifting through photos. For our clients, we pull the ones that best document the experience. The best of the best go to our website and other marketing materials. And then there are the photos no one else gets to see: behind-the-scenes shots of our teammates in rehearsal, setting up, and having fun with one another. 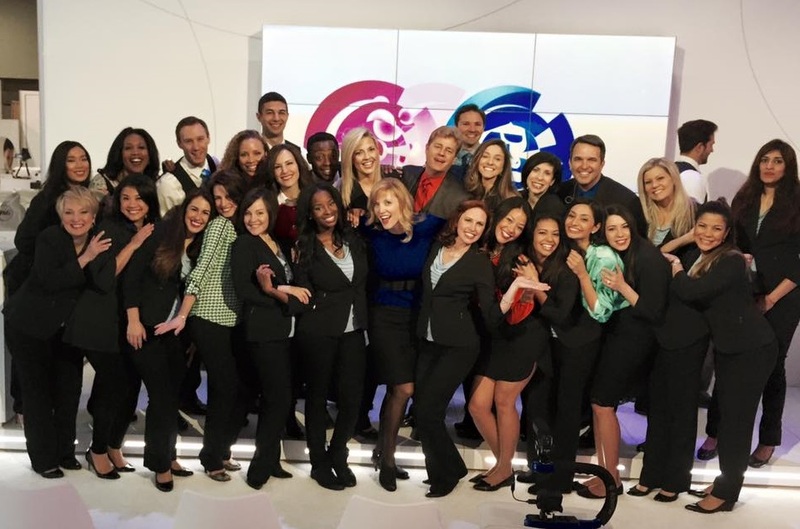 These images are a testament to the intense preparation that happens before “show time.” Our professional presenters and brand ambassadors are the best in the industry, so they make delivering messages and first-class hospitality look easy. But every day on the show floor represents hours of rehearsal and thought, from the way our talent moves during a presentation to the cut of their jackets and the color of their ties. Browse through these pre-show photos, and you’ll see people running their lines over and over, testing and re-testing demos, tweaking the emphasis of key messages, and collaborating to make sure every team member knows where to be and what to do, even when the unexpected occurs. Our exhibit designers and technical crew are busy, too. They’re obsessing over lighting, wrapping walls in beautiful printed fabric, tweaking sound levels to perfection in our theater, and setting up displays with the eye of an expert retailer. 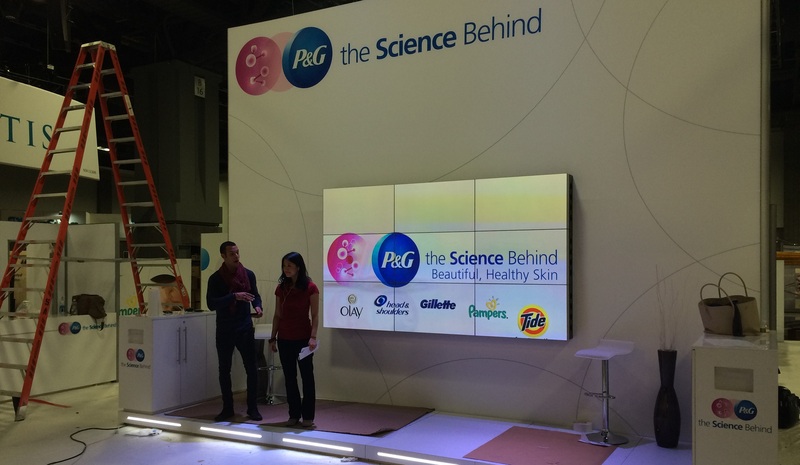 All of these are represented in photos from the P&G skin care booth at last month’s American Academy of Dermatology Meeting. 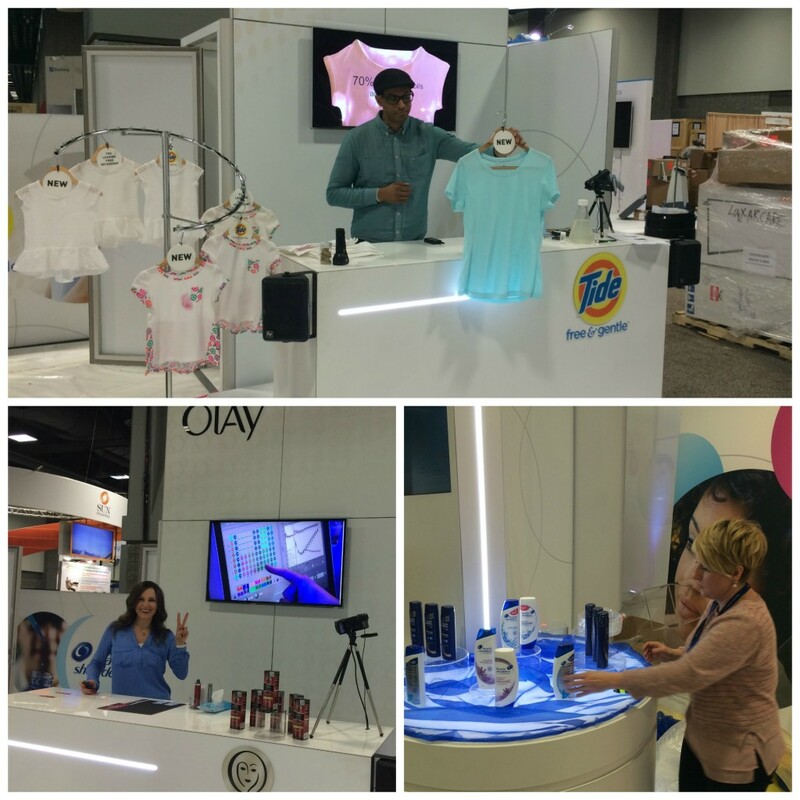 Our team and brand partners set a new bar for excellence with a freshly updated environment, a science-focused main presentation, and demos that brought brand science and benefits to life. 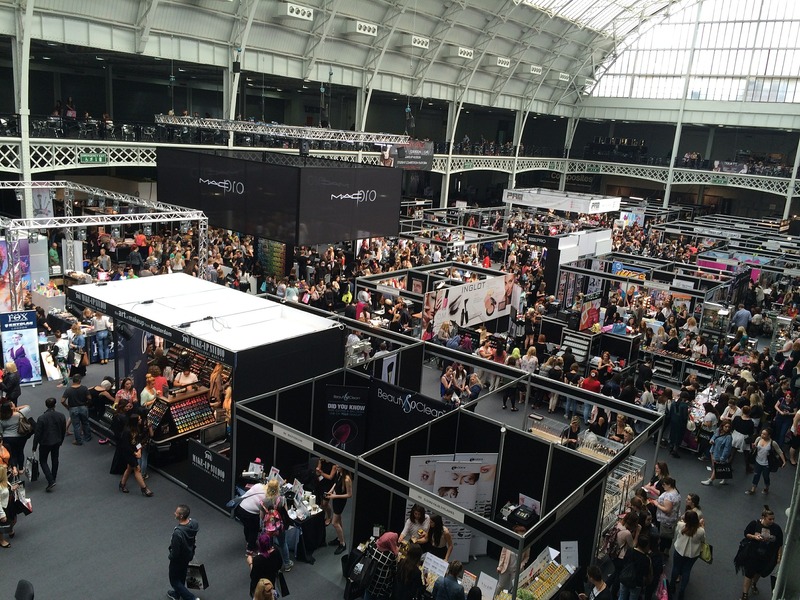 More than 4,100 dermatologists spent an average of 15 minutes in our exhibit space. 95% reported that the content they received was relevant to them and their patients. And on average, 90% said they were more likely to recommend the featured products after visiting our demo stations. But something else comes to life when you look at behind-the-scenes photos from this show and others. You see the friendships that allow us to trust and help one another be our best—which means our clients are represented at their best. You see the fun, which not only propels us through long days but keeps us coming back show after show. Those unguarded, even silly, moments form the foundation of a team that is completely and joyfully committed to delivering memorable experiences for our clients. This is why we look forward to post-show photo reviews. The polished and posed images capture the excellence. But those backstage moments are often where the real magic happens.